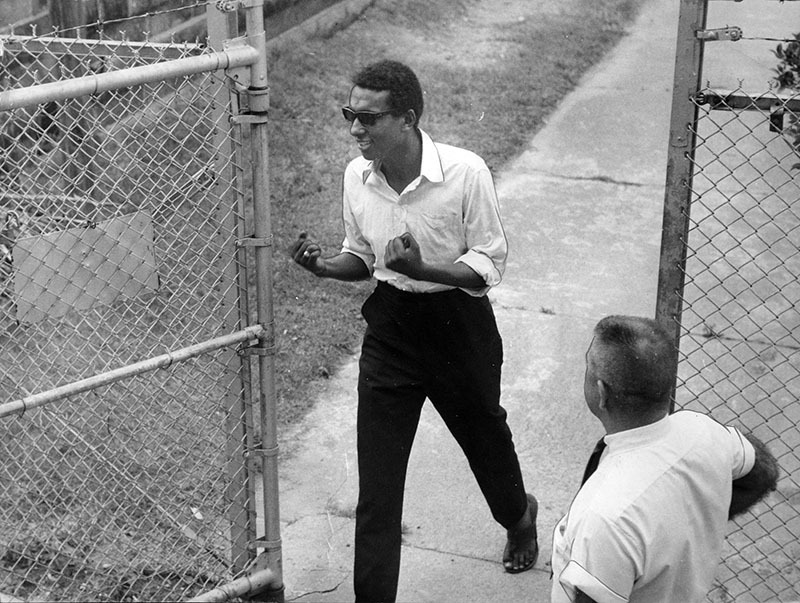 Civil rights leader Stokely Carmichael gestures as he leaves jail in 1967. Carmichael, who headed the Student Nonviolent National Council from 1966-67 and founded the Lowndes County Freedom Organization, estimates that he was arrested about 30 times during his years of activism. Property of The Birmingham News. All rights reserved. Used with permission.